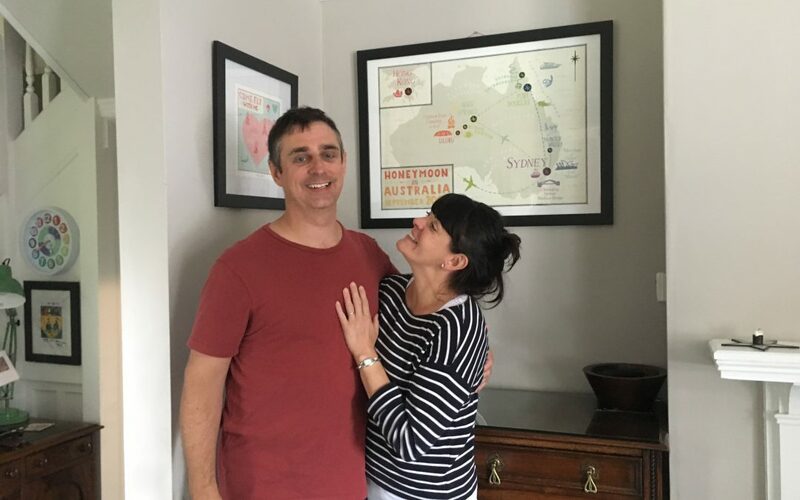 Stuart and Sam, wanted to commemorate their honeymoon in Australia – just as they renewed their marriage vows 11 years later! How romantic is that? 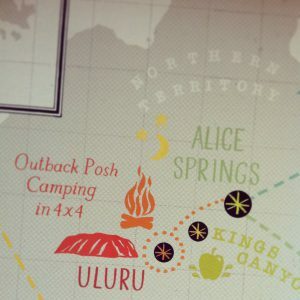 They wanted to map their unique experiences – from their picnic in a remote nature reserve (when their guide had to dive after an apple that rolled into a lake so that it would not pollute the local flora and fauna!) 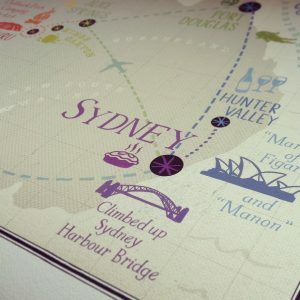 to taking in the opera at Sydney’s iconic Opera House and climbing the Harbour Bridge. 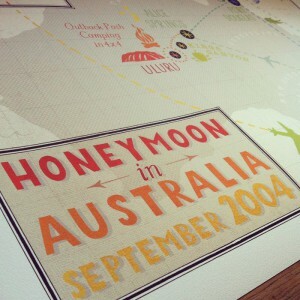 All momentous and magical moments – mapped for posterity! They chose the bright and bold “Spectrum” colourway to map their adventures and went large with an A1 map which really does look impressive on their feature wall!